Weddings take a lot of time to plan, and with a never-ending list of essentials can get expensive as well. However, with the advent of the Internet, creating custom products for your wedding has never been easier or cost-effective. 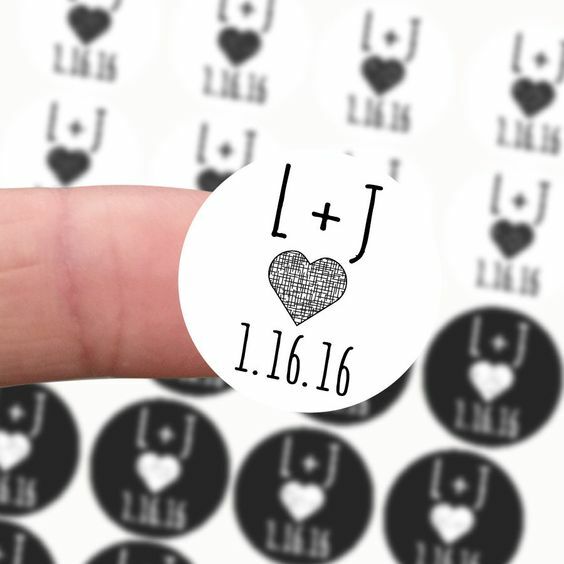 With websites like StickerYou, creating beautiful and practical custom decals for your wedding can be simple, fun, and affordable. 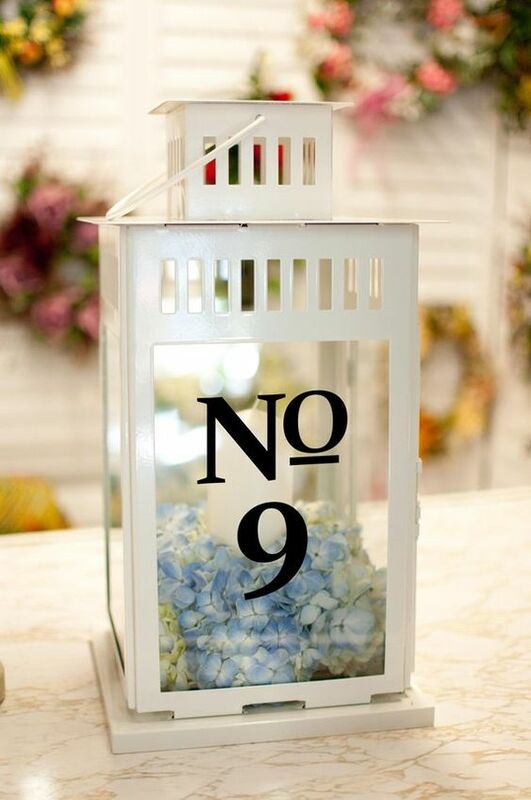 Here are 10 ways to use custom decals in all aspects of your dream wedding. *This is a guest post by StickerYou. All products in this article can be designed using the StickerYou interface and purchased from their webiste. 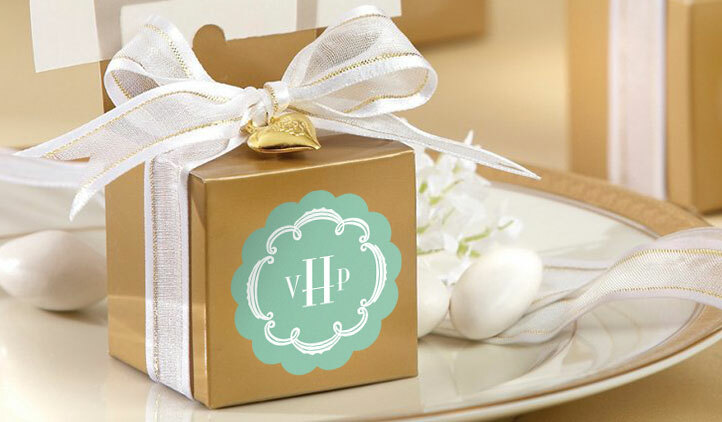 You’ve spent time creating gorgeous invitations, so why not finish your invites with custom envelope decal seals. Create decals to fit and seal any sized envelopes with the names of the bride and groom to be, and your wedding colour scheme! 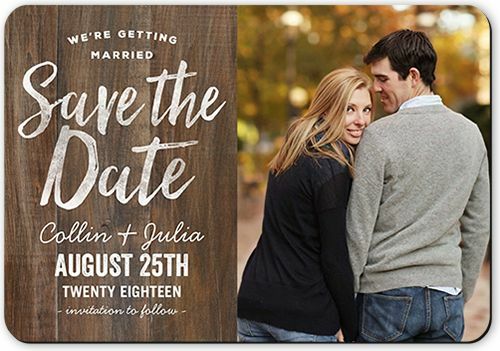 Set the tone and feel for your wedding as soon as you send your invites! Save-the-date notices and cards are important to remind your guests about the big day, however, they can easily get lost or misplaced. Fridge magnets are a fun way to let guests know important wedding information, and being placed on a refrigerator ensures that info won’t get lost and can be a subtle everyday reminder (especially for those guests who RSVP last-minute). Temporary tattoos are a timeless way to amp up any party - and your bachelor or bachelorette party is no exception! 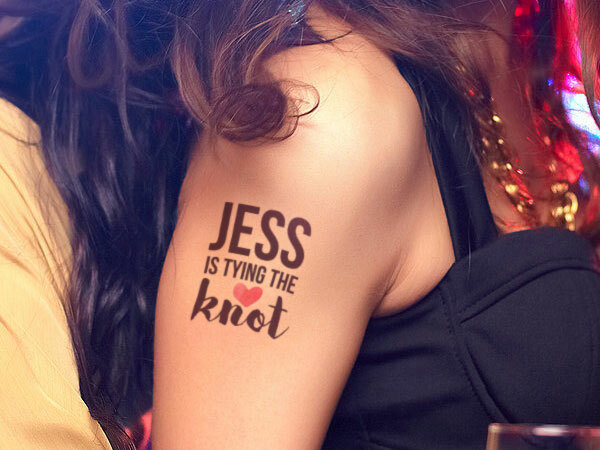 Temporary tattoos for wedding parties can be practical with custom info like names or contact info (in case anyone mistakenly strays from the pack), or can be a fun way to decorate your body with wedding hashtags or your Mr. & Mrs.’s logos. Contemporary temporary tattoos can also be printed with metallic or even glow-in-the-dark inks to easily upgrade your party game. Put a modern twist on your welcome signs with custom vinyl lettering. 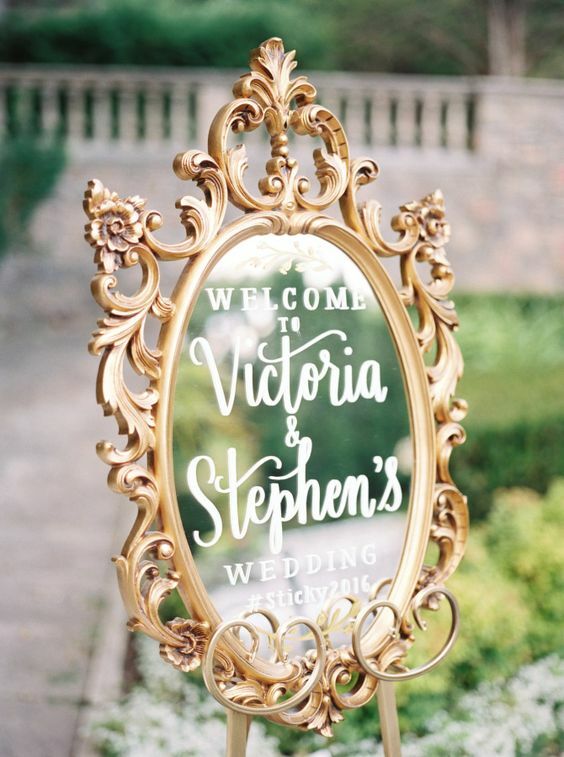 Mix fonts and type to create unique and personalized welcome or directional signs and adhere them to mirrors or glass frames for a super luxe look. Vinyl lettering also works great for “Just Married” signage for the back window of your car. Most vinyl is removable without residue, so you don’t have to worry about ruining or damaging your personal goods (and is a smart alternative to chalkboards which can be easily damaged by the elements). Table settings and decor should be the least of your worries on your big day, so make organization easier with customized clear sticker decals for your table settings or centrepieces. Stickers with a clear backing always look bold and are perfect for personalizing guests drinkware, or have dual-purpose centrepieces by adhering clear stickered table numbers or temporary tattoos to them. Whether you’re making your own or getting from a supplier, a simple way to upgrade your wedding is with custom labels to fit any sized wine or liquor bottle. Having a dry wedding? Order custom labels in bulk to affix to water bottles so your wedding aesthetic is never compromised. Are you one of those funny couples who want to make sure your wedding totally memeable? 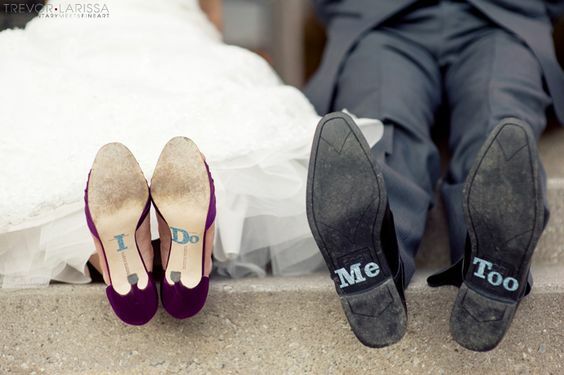 Funny sayings for the bottom of your shoes to give your gifts a chuckle while kneeling during the ceremony is nothing new, but with decals you can do so without ruining your shoes! Opt for stickers with a clear backing or vinyl lettering that can be removed without residue or damaging the soles of even the fanciest footwear Serious messages like “I Do” or “I Said Yes” affixed to the bottom of your shoes also make for unique wedding photo ideas. Finding and booking a wedding venue is a major part of any ceremony, so why not take your decorating to the next level with large decals for the dance floor. 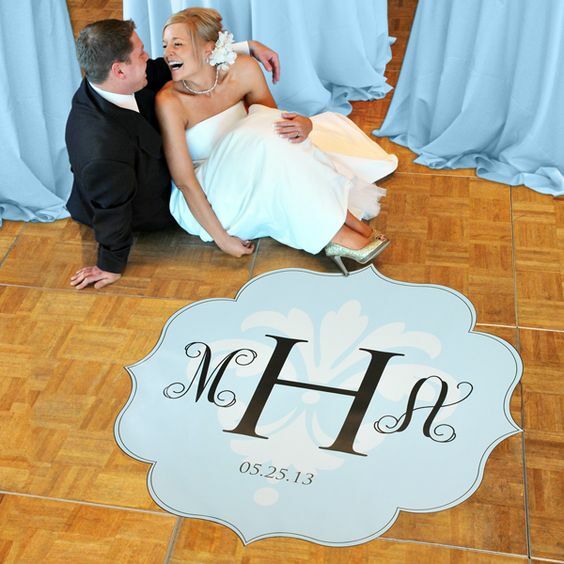 Create stunning monograms for your dance floor to take first dance photos and videos to the next level. Floor decals can be easily applied and removed from any type of floor! They’re also scuff-free, so you can dance the night away and never have to worry about your beautiful floor decor getting ruined. It is always in good taste to thank your guests for their attendance, and there’s nothing more tasteful than customized labels to add the finishing touch to your guests’ wedding favours. Get super personal by adding names or wedding party roles to stickers, or get specific with puns and your favors’ contents. Not every guest at your wedding are going to be all over social media or checking updates to the cloud, so they’re going to need a more tangible way to check out your precious wedding memories. USBs, CDs and DVDs are still a great method for creating slideshows or storing some of your favourite wedding photos and videos that you and your loved ones can always enjoy (without having to worry about your computer crashing. 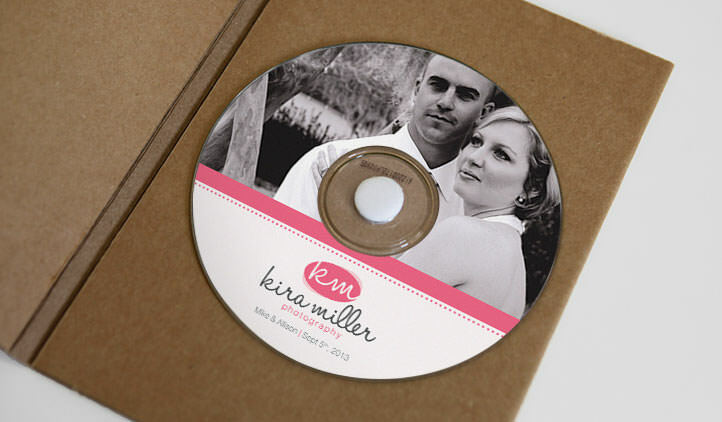 Create labels for your USD sticks and discs with photos, logos, or colours you used in your wedding to not only keep your wedding memories organized, but also looking great!